If you are looking for a pant that offers extra comfort and coverage for swimming, water work outs or just splashing about, this is one to take a closer look at. In a blue that will go with so many other swimwear in your arsenal and the Coola Cozzie range. Available in sizes 10-24 with a comfortable fit. 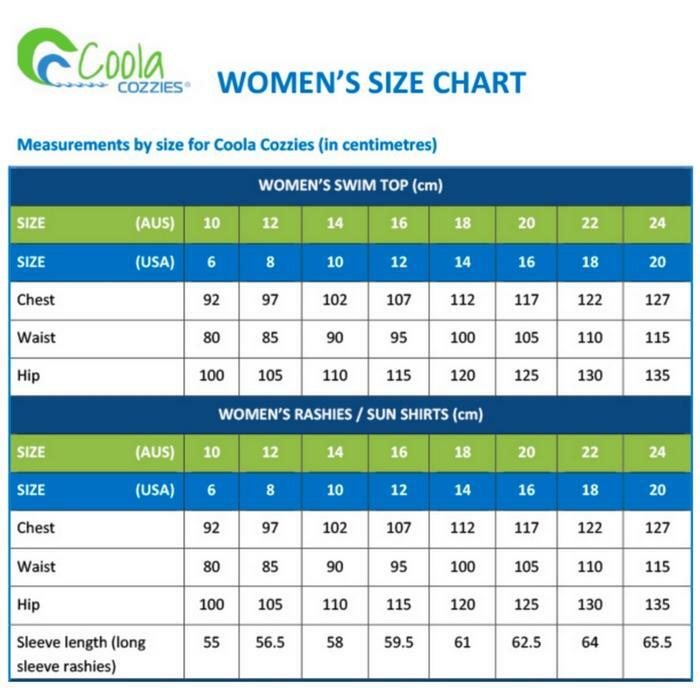 Refer to the Coola Cozzie size chart in the image below for to find your best fit. Fit - true to size we find.